Spring has Arrived! 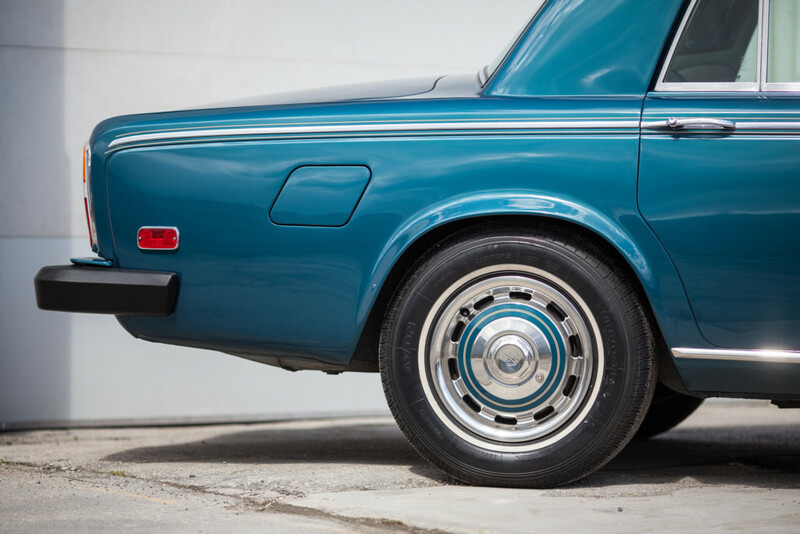 Perfect time for a PPF Install – Just before the spring roads start crumbling apart! We have inclusive services to meet all your car detailing needs from soft hand car washes to paint polishing, interior cleaning and new car protection like our exclusive professional ceramic coatings and paint protection film (ppf) . 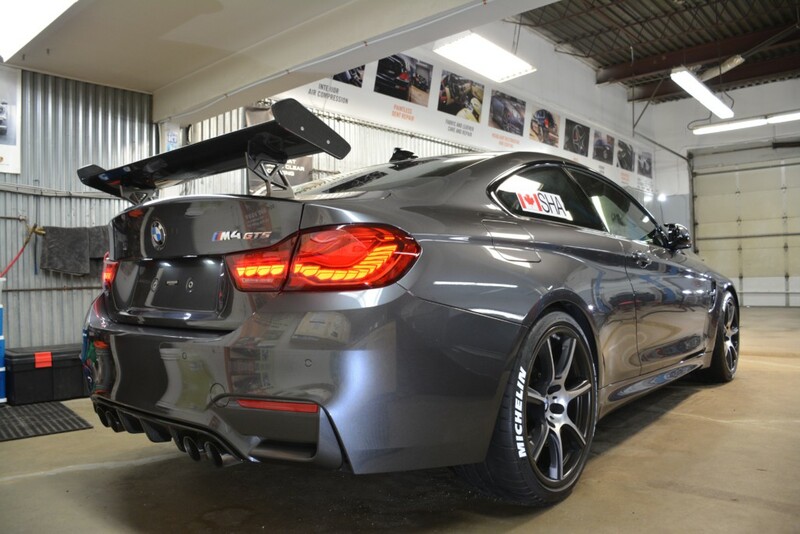 Whether it’s interior, engine, basic exterior or full paint correction – we have packages for all. Check out our winter special! Protect your investment! Find out more about chemical resistant ceramic paint coatings here! 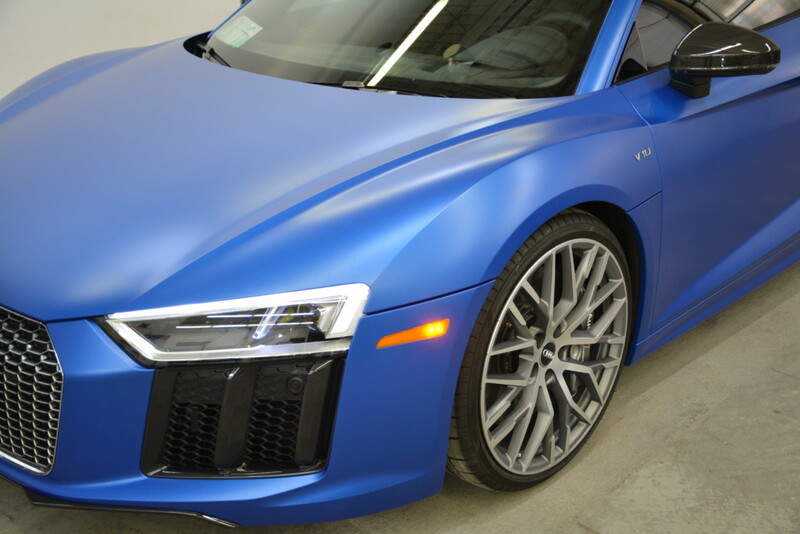 10 year warranty, self healing paint protection film is the highest level of protection for your vehicle. Decontamination, Paint and Metal Compounding and Polishing, Waxing, Sealing, Ceramic Coating – We do it all! 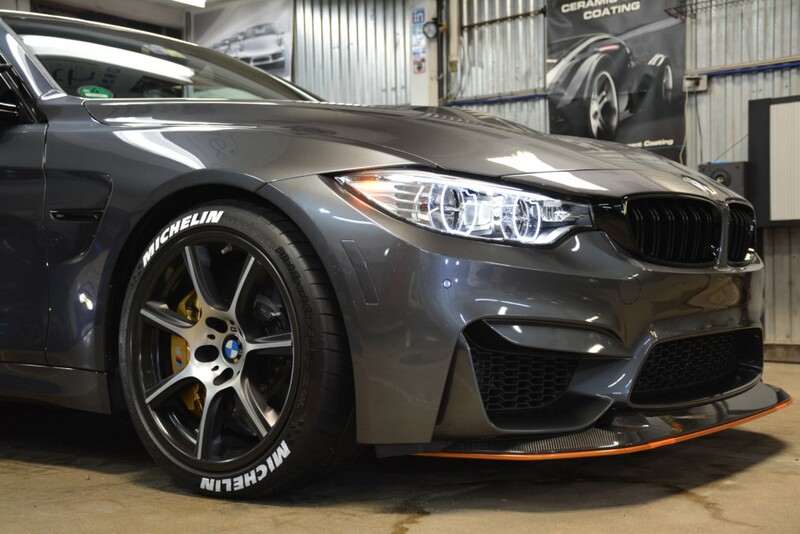 Don’t forget to check out our premier wheel supplier – VMR’s website! From decontamination washes to one-step cleaning waxes, to full 3 step corrections – we’re at your service…as long as it fits in our shop. If not we can come to you if your boat is in a sheltered area with water connection and power. 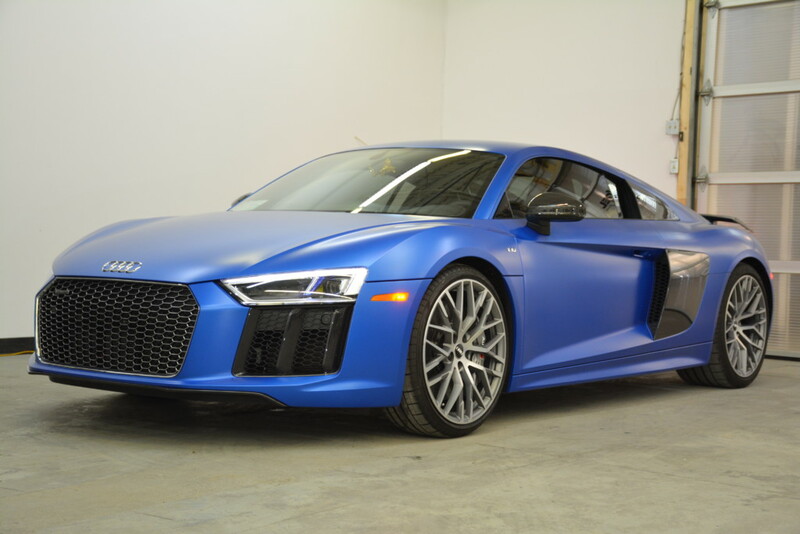 Why is Rebirth Detailing Winnipeg’s #1 Trusted Detailer? 1 in 11 shops in all of Canada to be named as a Cquartz Pro Installer – the most exclusive coating, professionally applied by the top detailing businesses in North America. 1 in every 500+ shops are accepted! 1 of 4 shops in all of Canada to be invited out to VERGE 2018! 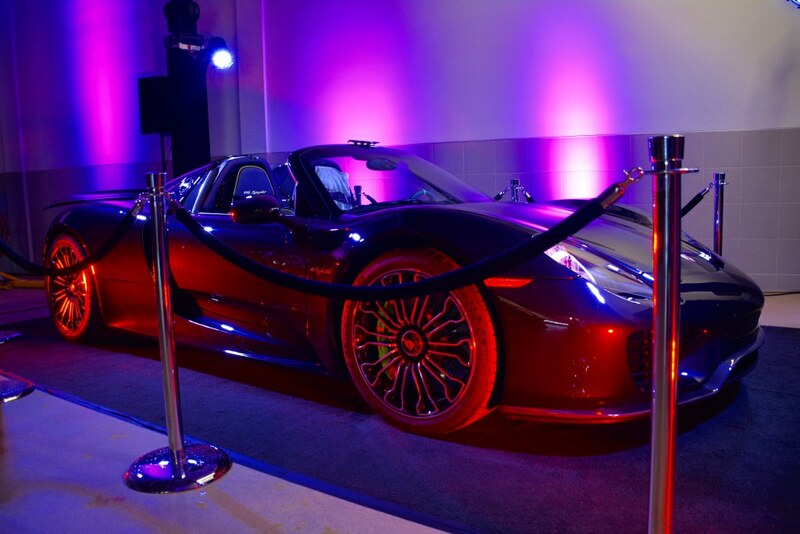 Verge 2018 is a convergence of North America’s finest detailers networking together to share and understand a better knowledge of the industry. We were very honoured to be part of such an amazing group. 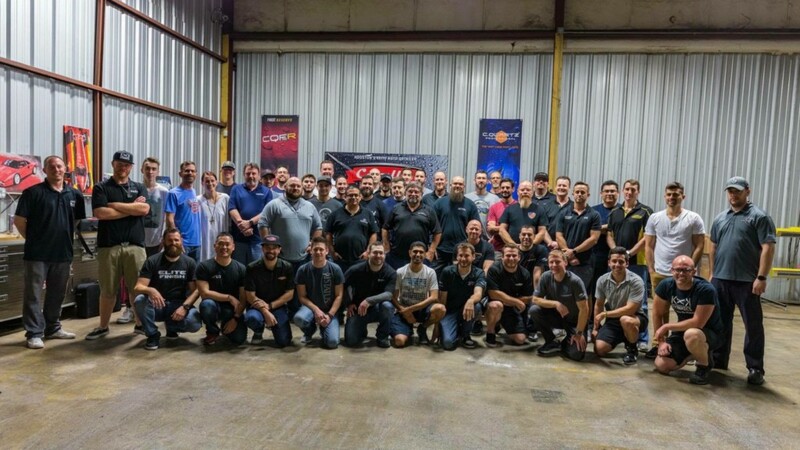 We spoke with the world’s best painters and restoration techs to ensure we continually learn differences between $80,000 show car paint to new factory water based paint and how they react. We also had a mechanic show us safe jacking points for all the high end exotics that come in our shop. All of this speaking to our mantra; Quality. Trust. Caution. 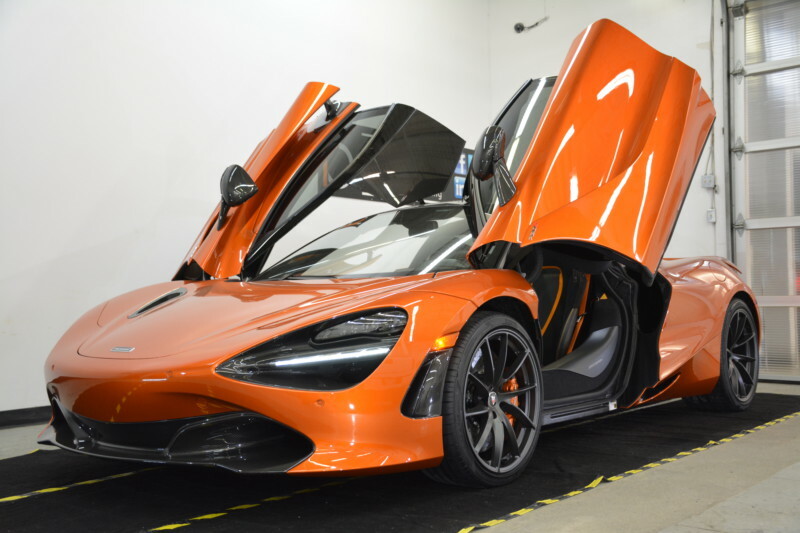 This special supercar was delivered to one of our first clients straight from McLaren Vancouver. 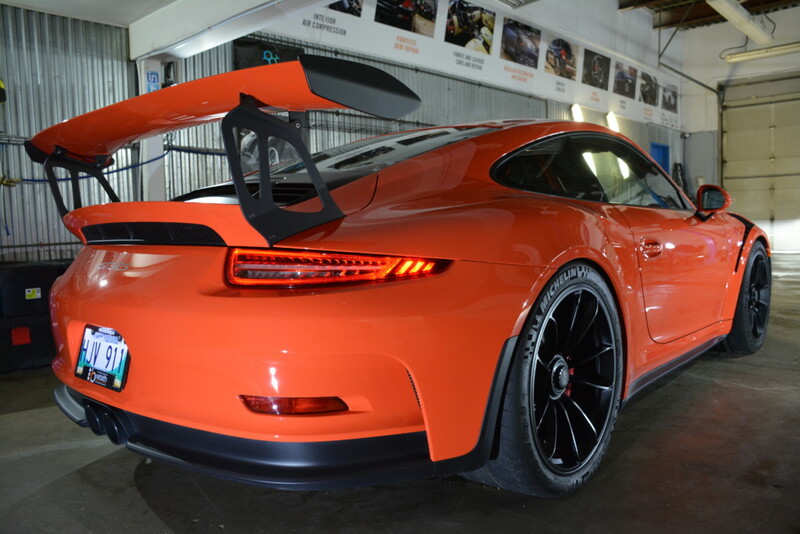 It was then driven straight to our shop for full front ppf (paint protection film) including full hood, fenders, mirrors, front bumper as well as the carbon fibre roof and a-pillars and the entire rear bumper including underneath the rear valence. 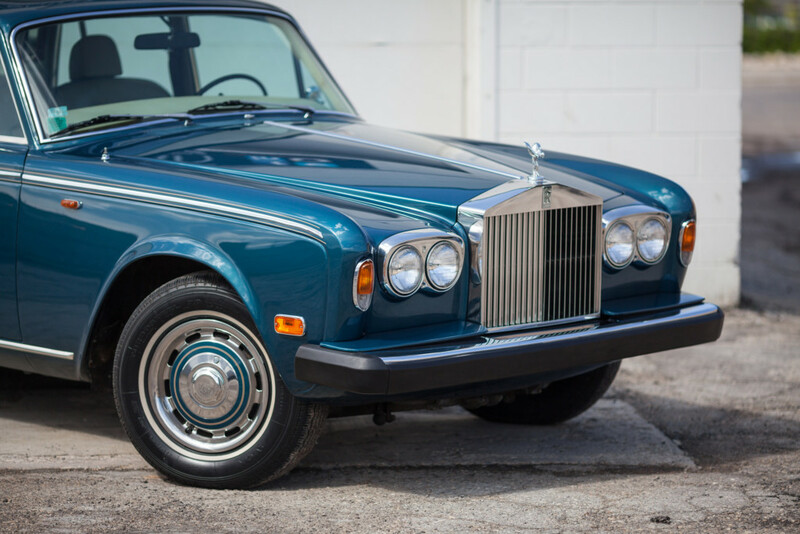 We actually did extensive paint correction on this vehicle before applying the film as it has factory defects that included wet sanding pigtails and polishing haze from Surrey, England. 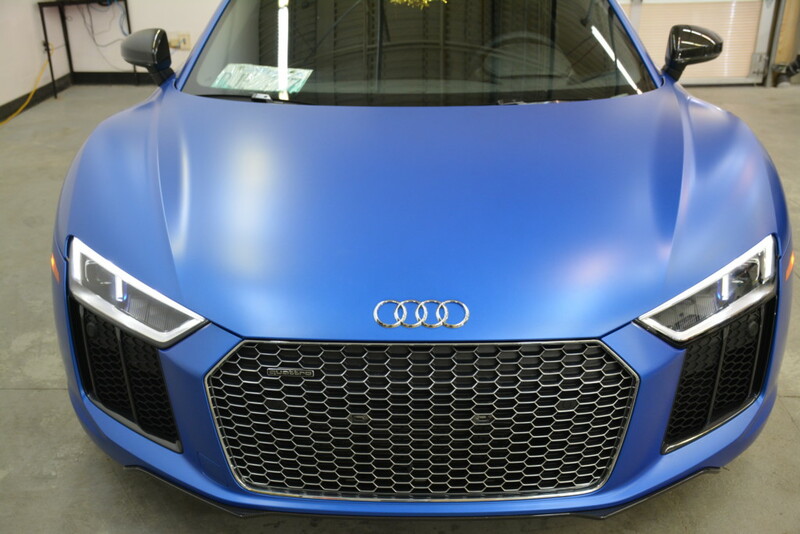 We then coated the entire car (including the film) in our top of the line, two-part, permanent ceramic paint coating; Opticoat Pro Plus! 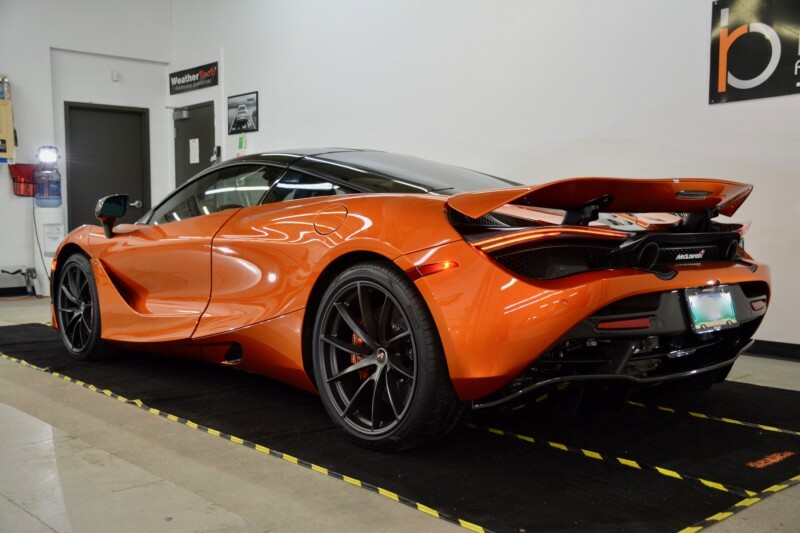 Very thankful to McLaren Vancouver and our customer for their trust with this amazing machine! 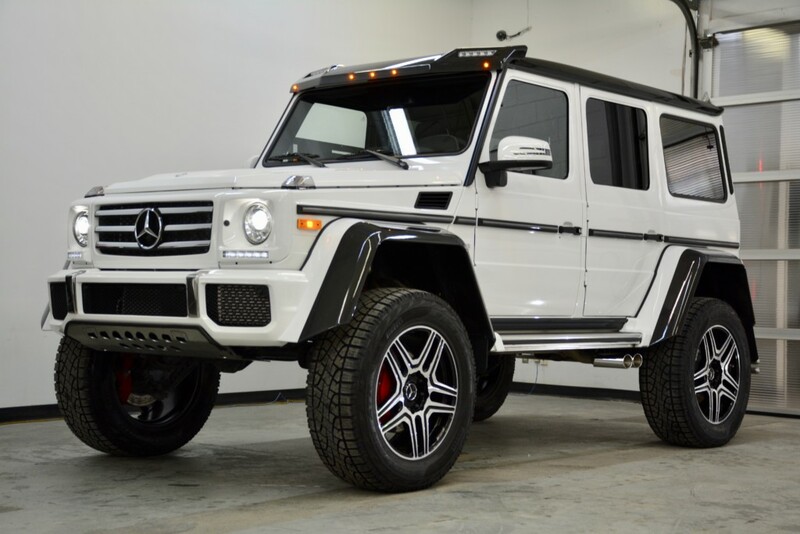 Delivery clean up at dealership, to mobile at-home maintenance washes for the most expensive vehicle in Winnipeg. 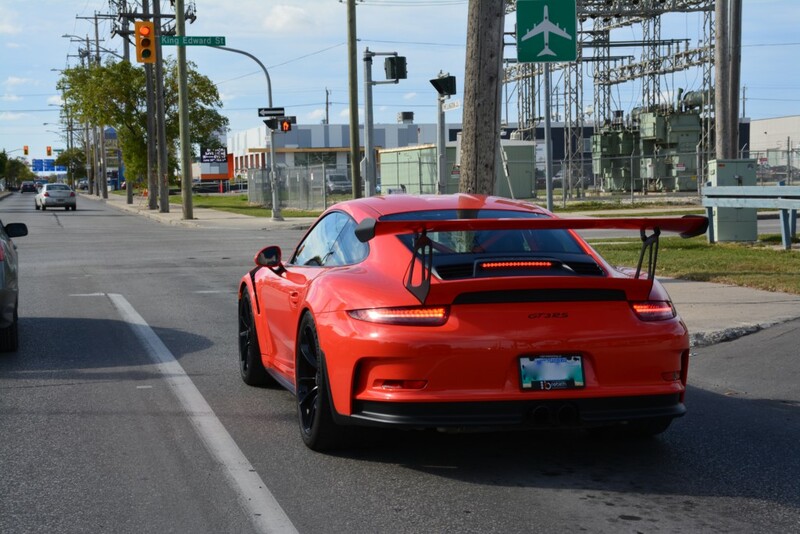 Big thanks to Porsche Winnipeg for their trust in us to help present this legendary car to the customer. 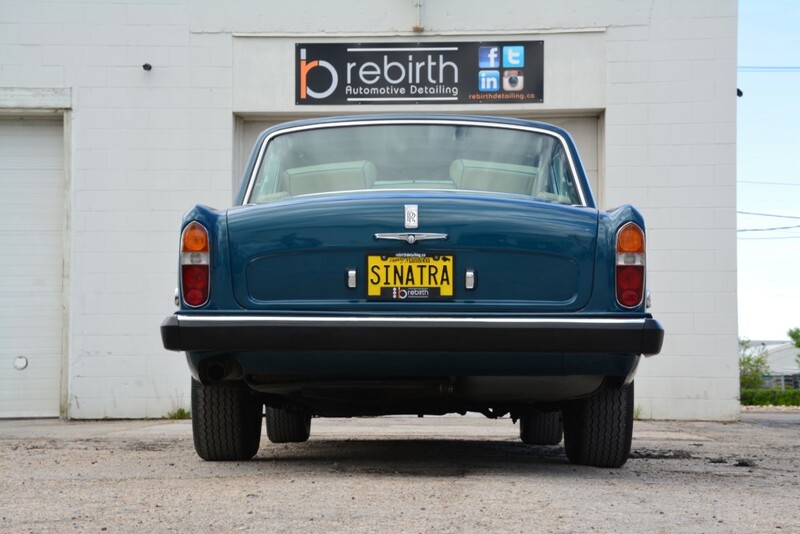 1976 Rolls Royce Silver Shadow originally purchased by Frank Sinatra! Bought in Las Vegas at Barrett Jackson Auctions. Preservation was the key for this very sentimental project. Original Palm Springs Airport parking sticker in window. Paint and body has been restored but still needed correcting. We then coated the paint in ceramics to ensure it was protected to the highest degree. A very, very special car and experience that will never be forgotten. Our biggest project in 8 years of business. Full body Xpel PPF (Paint Protection Film) followed by one of our 2-3 year organic ceramic coatings. Ceramic glass treatment was also applied as well as a coating for the wheels. 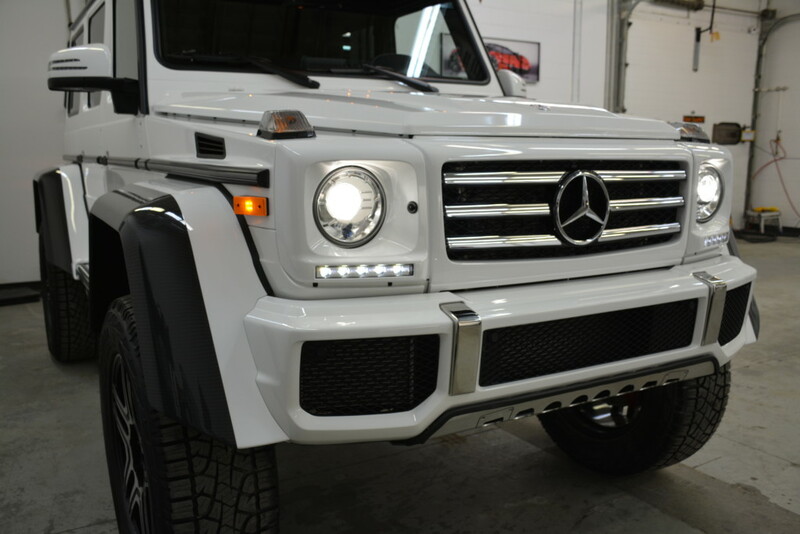 What a perfect machine with one scary tone…Front end film carefully cleaned and coated. 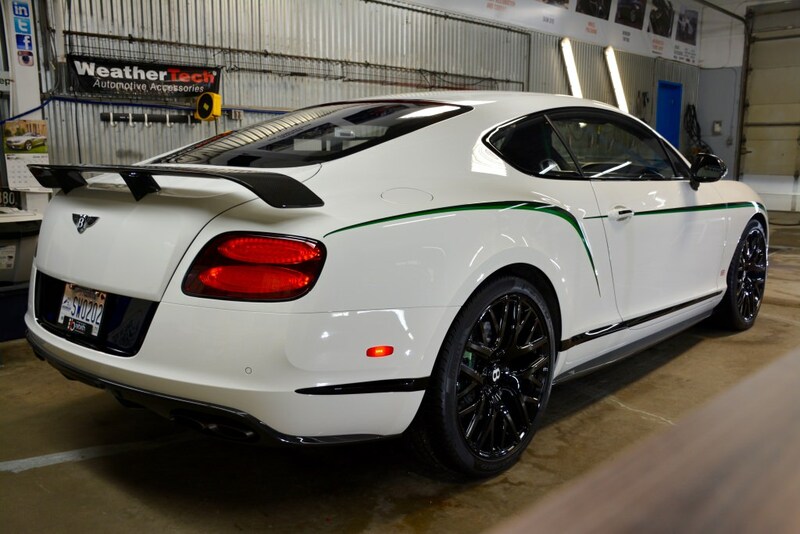 Paint elsewhere was corrected and coated with Opticoat Pro! 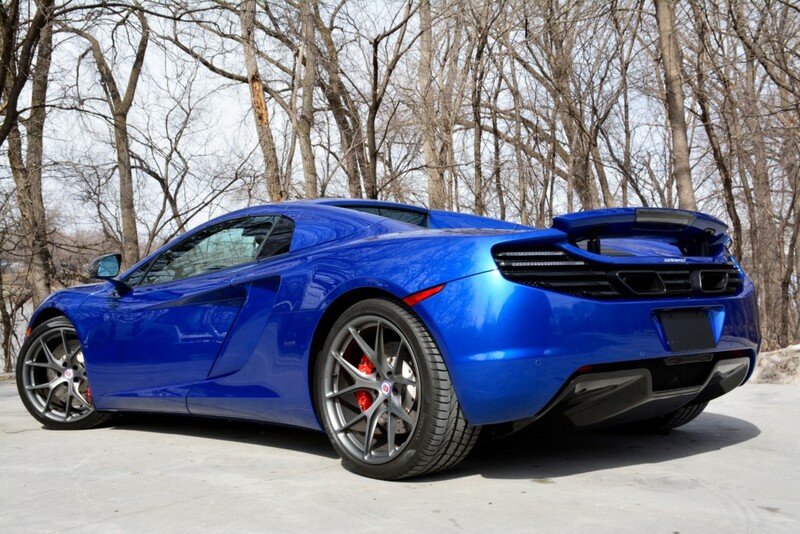 Even those nice HRE wheels got ceramic coated as well! Colour and clarity popped really well. The car is now protected and owner is thrilled! Full Paint Correction including a major scuff from the track, before professional installation of our 5 year ceramic coating; Opticoat Pro. 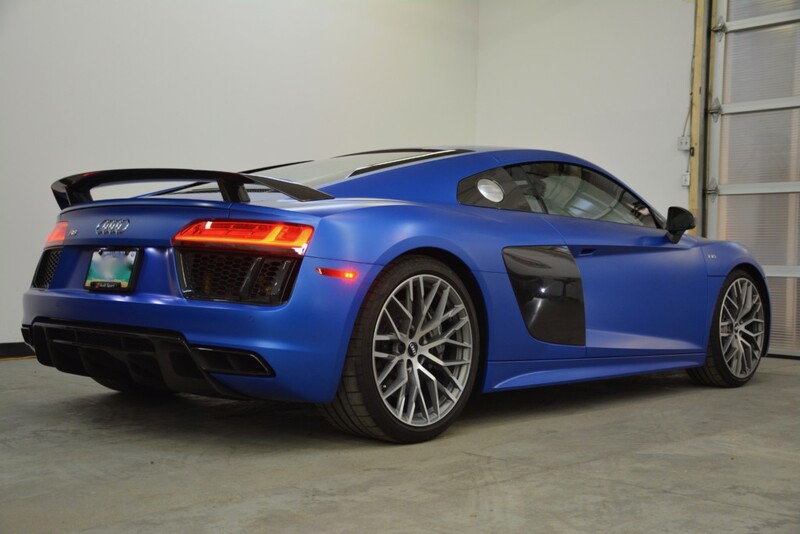 Dream come true picking up and delivering this pure bred track car! 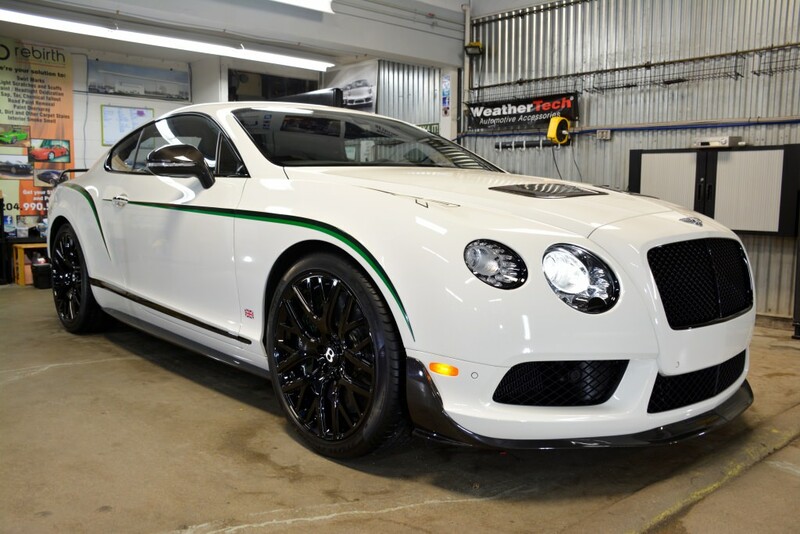 Brought over from another province, this Bentley already had paint protection film on the hood. 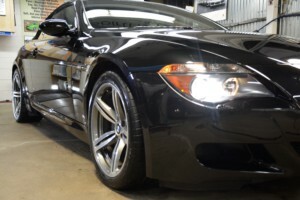 We did a decontamination wash, spot paint correction, and full polish before a ceramic coating application. 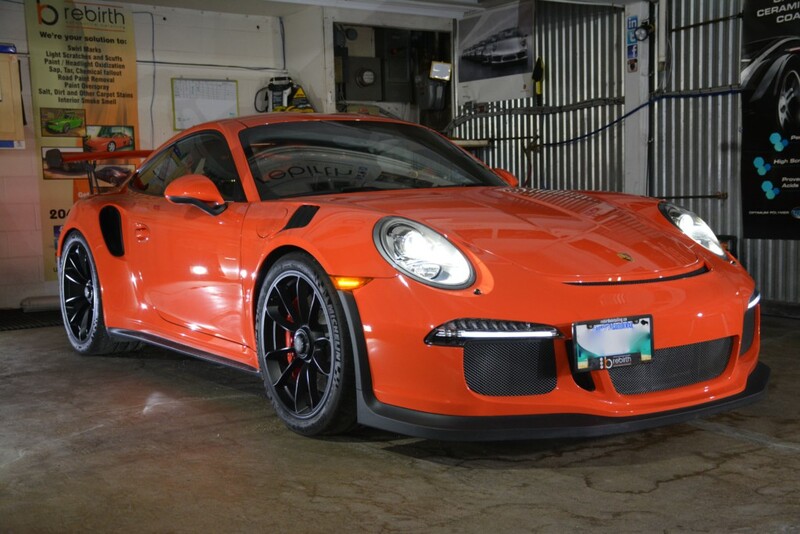 One of the nicest rides in the city now protected with matte paint protection film on the entire front end. 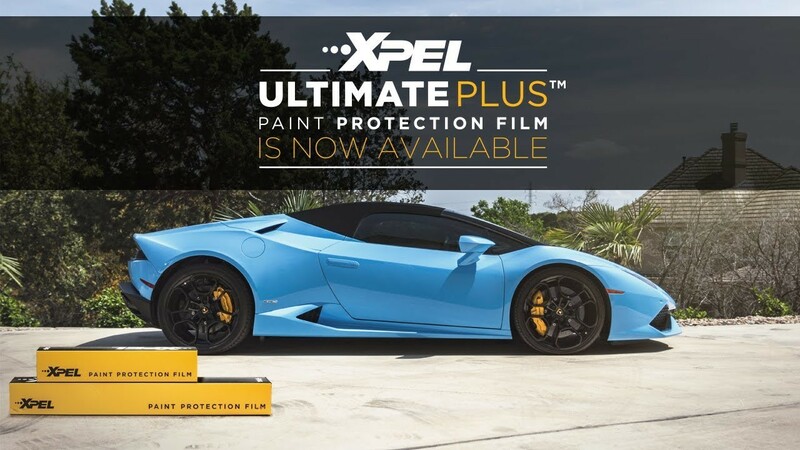 On matte surfaces we professionally installed Xpel Stealth, and on the piano black and carbon fibre panels we installed Xpel Ultimate for 10 years of stone chip protection! 1 of 6 Canadians to do the European Delivery Tour. 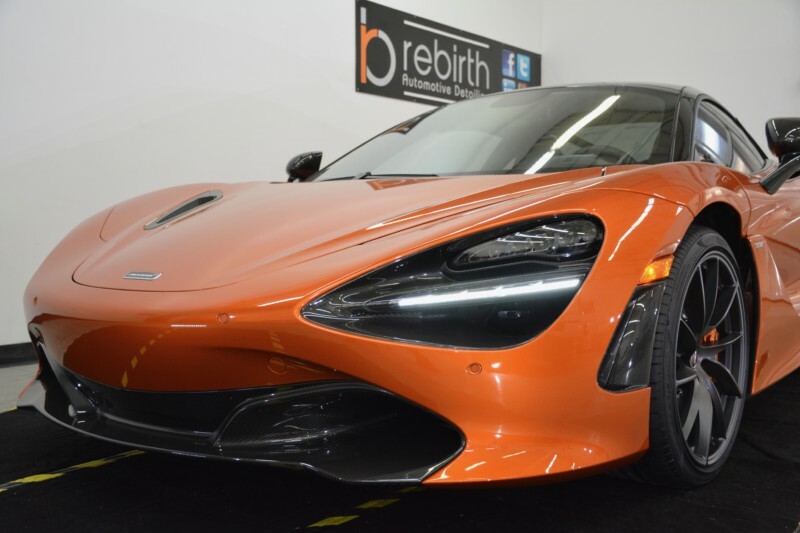 Truly a special car as it’s the first production car to have water injection for optimum combustion as well as to have a carbon compound wheel…but only if you were selected as the wheels were 1 of 200, and the car is 1 of 700 worldwide. 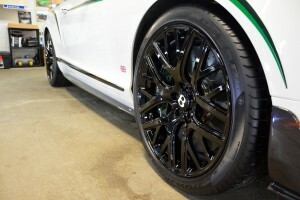 Opticoat Pro Plus professionally installed on all paint as well as the wheels. 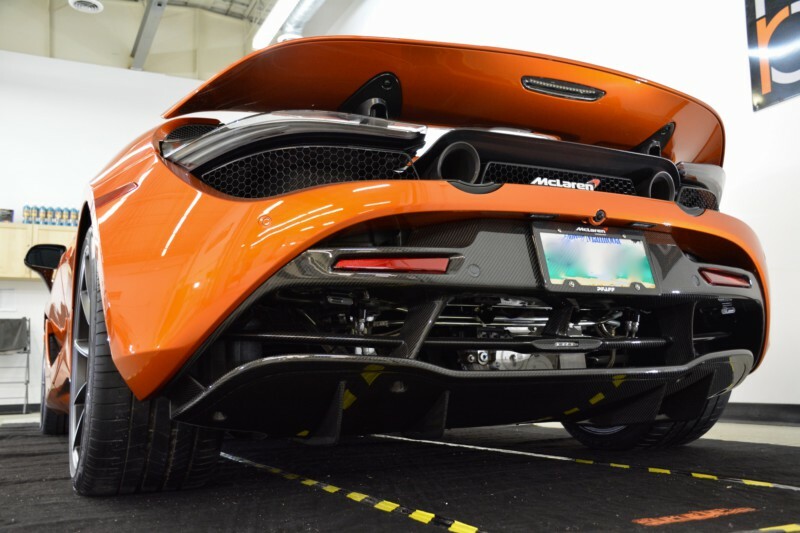 Ceramic coating was also applied to the underside of the hood…where the designer of the car signed it! One of the loudest cars we’ve had in the shop! Our absolute pleasure. First off I wanna say Jon brought a whole new meaning to showroom condition. The shine in my paint is in imaginable. 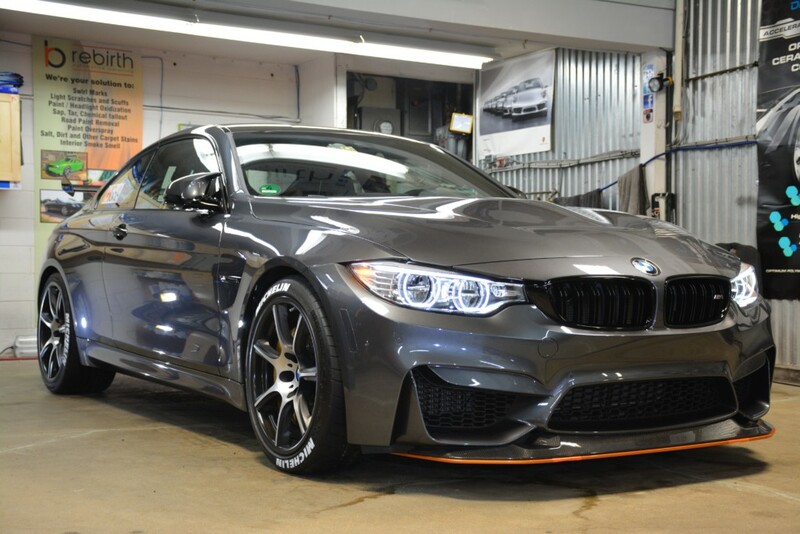 The car is an 05 bmw m3 which still had origional paint on most panels. Now it looks like my car had a brand new paint job. Thanx again Jon! Me and the wife will be bringing our truck here as soon as we can! I keep coming back because it is worth it. It isn't just the deep cleaning that Jon gives to my Cadillac, it is also for the alertness he gives to potential problems he sees as he scrupulously goes over the car body. My Cad developed a trim separation problem I might not have spotted till true damage had been done had he not pointed it out. I spend a lot of time washing and taking care of my Mercedes. One day after having parked in a parkade, I noticed a glue-like substance had dripped on to the side of the car. I tried everything but could not get it off. So I gave Jon a call. He made special arrangements to meet me on a holiday friday to accommodate my schedule and to get me in right away. With some wet sanding and a cut polish, Jon was able to get all the glue off the car. I opted for a full exterior polish at the same time and was it ever worth it! The metallic black paint shines like new with no swirl marks, and no trace of the parkade damage! Thanks Jon for taking care of me. I'll definitely be bringing my wife's vehicle in for a detail too. Jon takes care of your car like it was his own, he is friendly, honest and diligent, and he is truly skilled in his craft. Jon you have another customer for life. Don't even know where to begin with how great of a job Jon did on my car and how well he treated me as a customer. Fallen back in love with my Audi all over again. The paint looks brand new, Jon literally does as much as he can with what you bring him. On top of the immaculate detailing job he did, he kept me completely updated with everything that he was doing- best customer service I've had in a long time, maybe ever. Do not hesitate to bring your vehicle to Jon and support a great local business, you won't be disappointed! Jon @ Rebirth is the type of consummate professional one can usually only hope to know for vehicle detailing. He was recommended to us by someone whose recommendations we consider as guarantees and both individuals stood up to the outstanding preceding reputations they have. When I picked up our GX 460 my jaw near hit the floor. Not one square millimetre was overlooked. 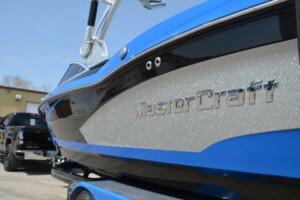 In fact it looked better than when we purchased it brand new off the showroom floor. I would add that If Jon does ask for a little extra time to work on your vehicle, do yourself a favour and allow it. The result will reinforce that both your time and money have been WELL SPENT. Those at Rebirth will earn you as customers for life. 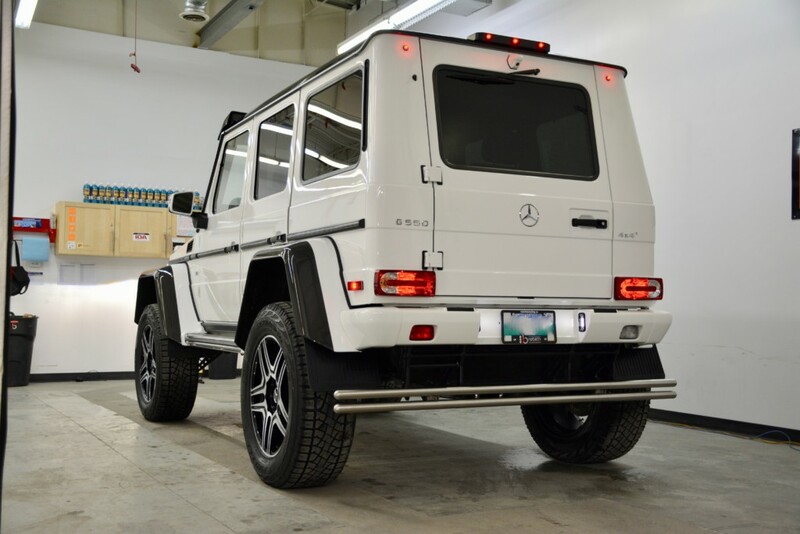 They will exclusively work on our vehicles and we cannot recommend Jon enough. Jon, you are a master of your craft. Job well done. 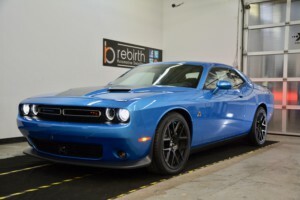 I brought my car in to Rebirth last Friday for a complete Stage 2 Exterior/Interior detail. 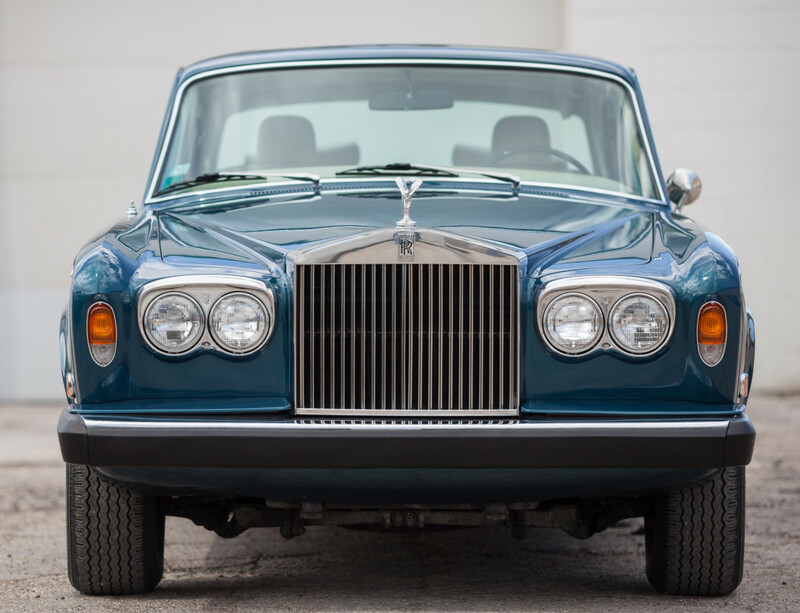 Having found Top Tier Imports through pics of the cars on the Rebirth site and reading the numerous positive reviews about Jon's services expectations were high. I was not disappointed. My G35x now looks more like a 2012 than a 2007. Jon did an amazing job on the car. 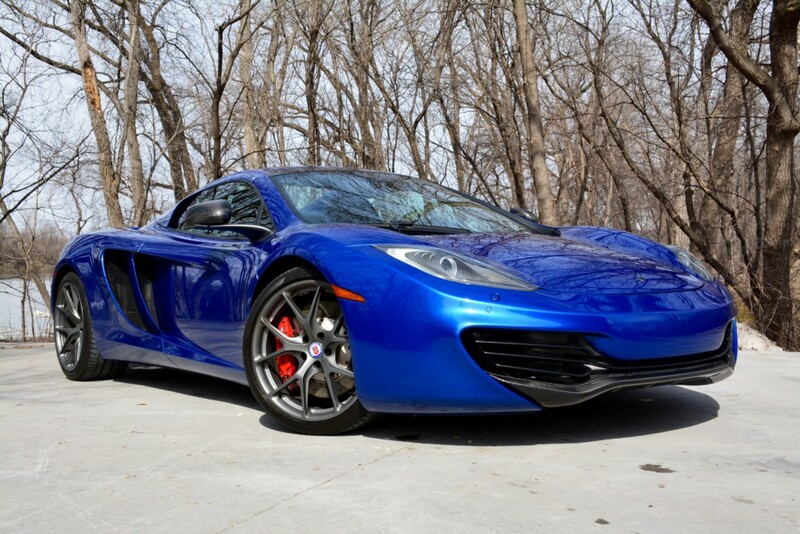 The exterior is fantastic - it looks so good I can't help but pause and stare at the car every time I'm outside. Too bad about the touch up paint being the wrong match for the car but at least Jon took the time to check it and told me about it ahead of time. Good on him. Anyways, the rock chips are definitely not as noticeable as they were before the detail so in the end it wasn't a big deal. Interior is now cleaner than any of the dealership Infinitis I test drove prior to purchasing this one. 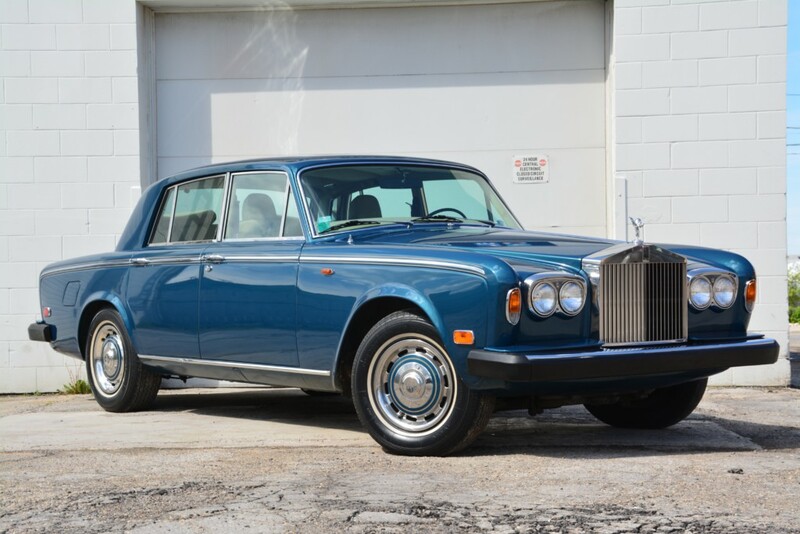 I could easily sell this vehicle now and get more than I paid for it (but of course I intend to keep this for the long haul hence the reason for the detail). Bonus points for giving me a lift to work on Friday - that's above and beyond service and Jon's a great guy to talk to. I already feel more a friend than a customer and that's the mark of a really good business. The before and after pictures on Jon's site do not do justice to just how good a job he does on your vehicle. Spend the extra dollars and go to him - it's worth every penny and more. Thanks again Jon - you got another customer for life here.